The la Recoleta Cemetery sits proudly within Buenos Aires. It is built as if it is a city within itself, with main walkways splitting off into smaller arterial paths that lead visitors around ‘city blocks’ lined with towering mausoleums. 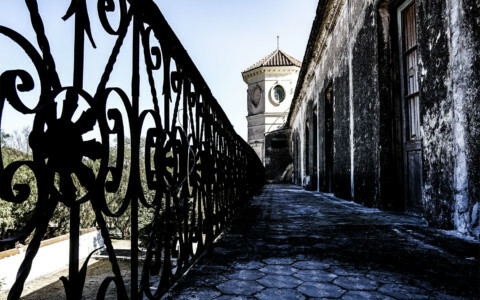 It was built in 1822 as the first official cemetery within Buenos Aires. Over the years the Recoleta Cemetery grew to massive proportions, containing over 6,000 graves, displayed in beautifully ornate tombs. 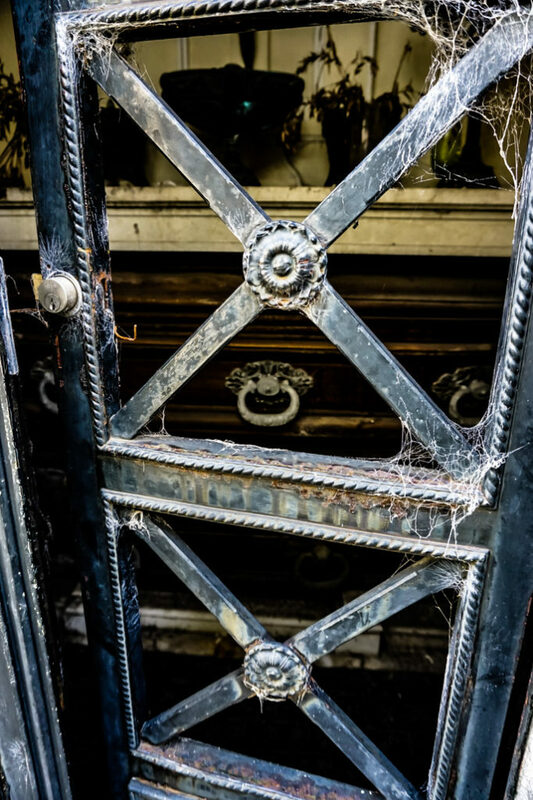 Whilst the Recoleta Cemetery is a beautiful place of interest to tourists, it also boasts some chilling ghost stories and haunted legends. 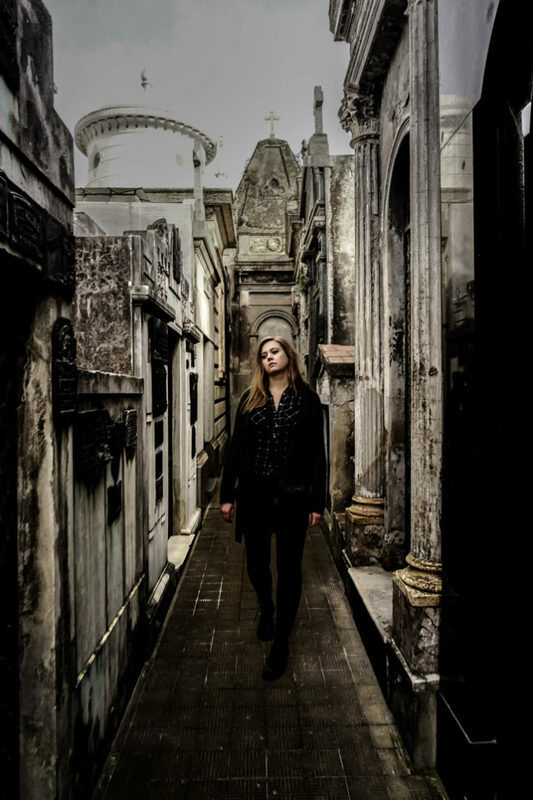 Staring down long alleyways of tombs at La Recoleta Cemetery, Buenos Aires. Perhaps the most disturbing and famed story to come out of the La Recoleta Cemetery is that of Rufina Cambaceras. In 1902 Rufina, who was just 19 years of age, was found seemingly lifeless by her parents. Her passing was sudden and shocking given her young age, yet doctors confirmed her death and her parents made arrangements for her body to be transported to the La Recoleta Cemetery where she would be interred. Checking out some of the haunted La Recoleta Cemetery’s most ornate mausoleums. The night that Rufina’s body arrived at the cemetery saw a terrible storm roll in and her burial was postponed due to heavy rain. Rufina was placed inside a coffin and stored in the cemetery’s chapel. The next morning staff in the chapel noticed that her coffin has been disturbed, having moved slightly with its lid sitting ajar. Long alley ways filled with the dead and roamed by ghosts in Buenos Aires’ La Recoleta Cemetery. Rufina’s already distraught parents were contacted and informed of the possible tampering of their daughter’s body. They requested to sight her, fearing that grave robbers may have broken into her coffin to steal the valuable jewelry she was buried with. When the coffin was opened, Rufina’s body was found bruised and bloody. The wood of the coffin encasing her had also been desperately scratched and clawed at. The terrible truth that Rufina had in fact been buried alive was then revealed. It was discovered that she had suffered from a rare medical condition leaving her in a comatose state, fooling doctors into believing she had died. Looking down into a crypt below ground level where several coffins are displayed. 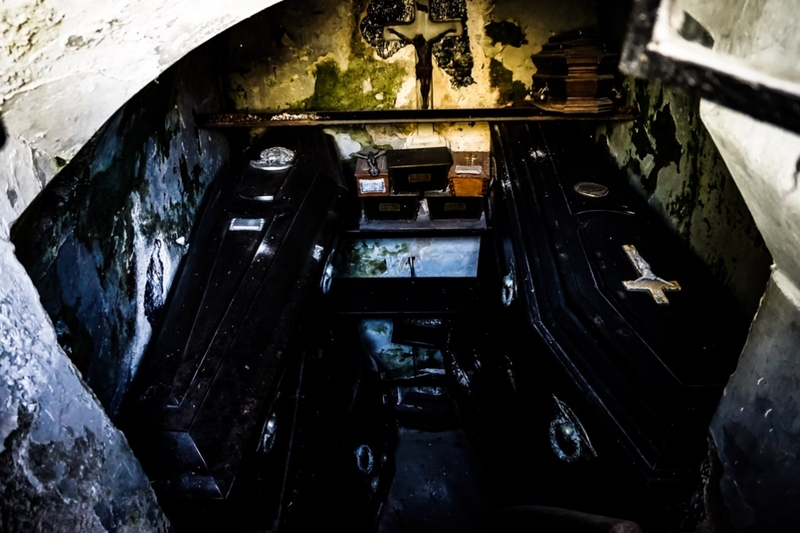 A common sight inside Argentina’s haunted La Recoleta Cemetery. 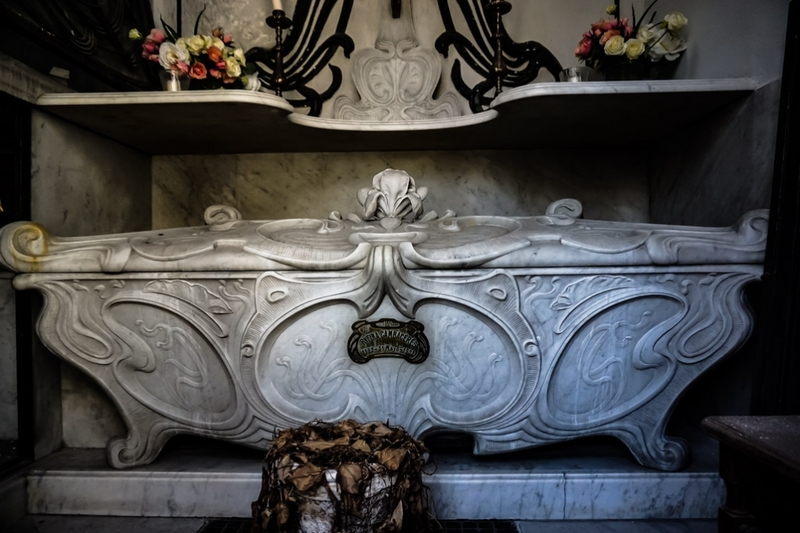 Rufina is now laid to rest in a mausoleum that sports a likeness of her walking out of its door. 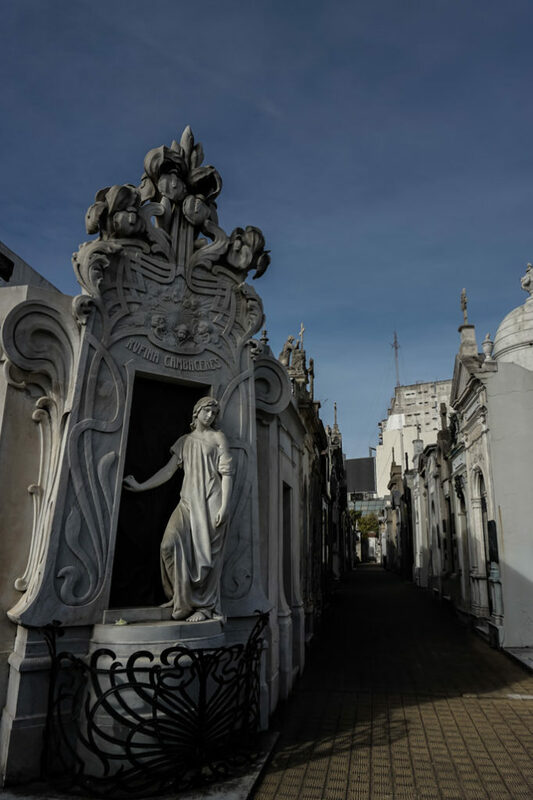 Though many believe that she may not be resting with her spirit thought to haunt the La Recoleta Cemetery, where she spent her panicked and fear filled final moments. Rufina Cambaceras’s tomb at the Recoleta Cemetery. The statue on display at the corner is a likeness of Rufina. Though Rufina is by far the cemetery’s most famous ghost, she is not the only one to haunt the La Recoleta Cemetery. 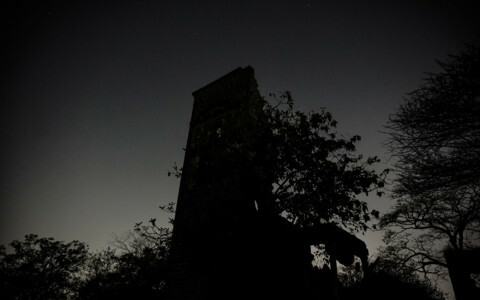 The ghost of a former caretaker is also thought to roam the area. David Alleno worked at the cemetery for many years and always wished to be buried there. After making arrangements and purchasing his lot, he committed suicide. 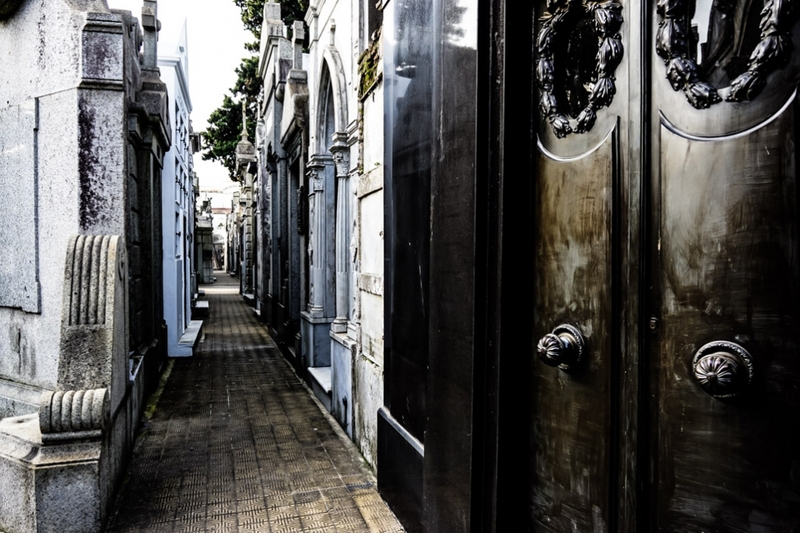 Although his apparition has never been sighted, the unexplainable sounds of keys jingling is believed to be his ghost, continuing to watch over the many graves at La Recoleta Cemetery. 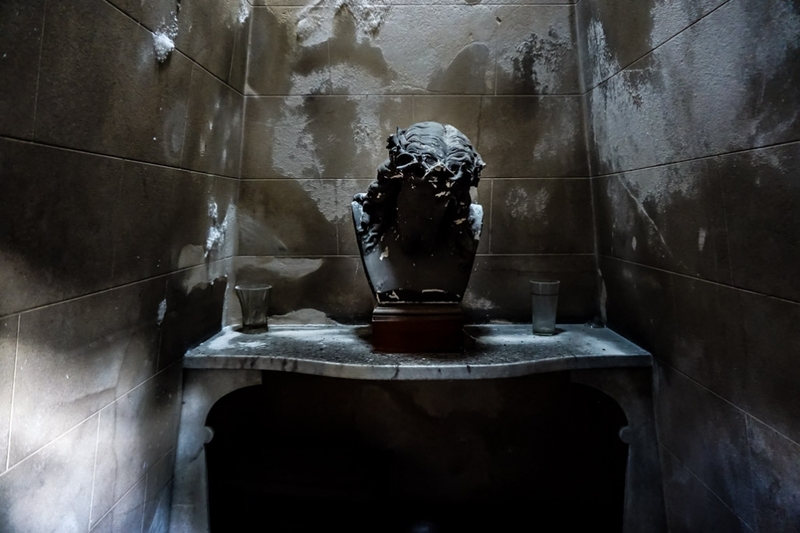 Inside the darkness of one of La Recoleta Cemetery’s tombs. Many other spirits are thought to hang around the beautiful graveyard, including the commonly sighted woman in white. 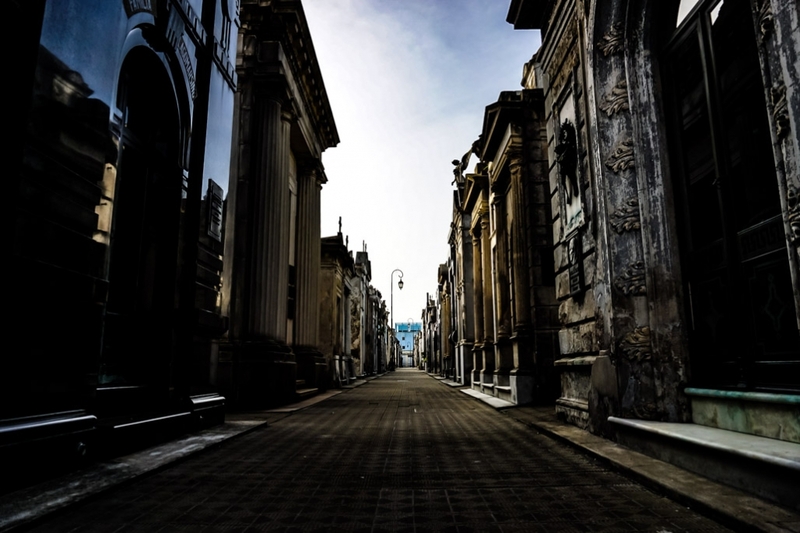 Today, the La Recoleta Cemetery of Buenos Aires is considered one of the most haunted places in Argentina. Looking for ghosts in La Recoleta Cemetery’s long pathways. The La Recoleta Cemetery is today one of the most visited tourist attractions within Buenos Aires. It contains the remains of many well-known individuals and much beautiful and interesting architecture. So many of the graves are kept in stunning condition, yet many have fallen into disrepair with broken skylights, rust and exposed coffins. 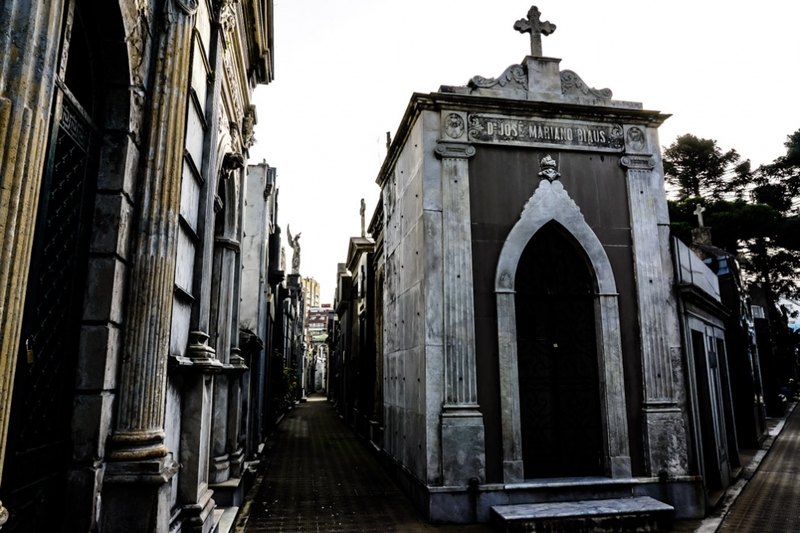 This all makes the La Recoleta Cemetery a truly fascinating place to visit. Coffins inside La Recoleta Cemetery, Buenos Aires. It is open during the day, all week long and is free to enter. Guided tours can be organized ahead of time. I recommend taking a map or checking the large map displayed at the entrance if you are seeking out a particular grave. Bring your walking shoes as the cemetery is large and there is much to explore. 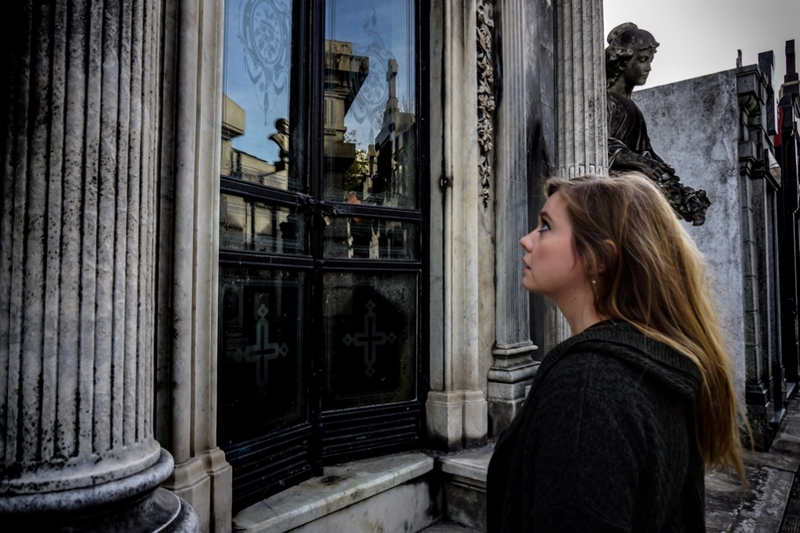 Looking for ghosts inside the haunted La Recoleta Cemetery in Buenos Aires, Argentina. 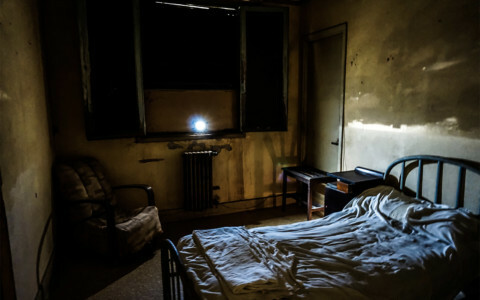 If you are interested in reading more about haunted locations in Argentina, I recommend checking out the haunted Eden Hotel and the Gran Hotel Viena.